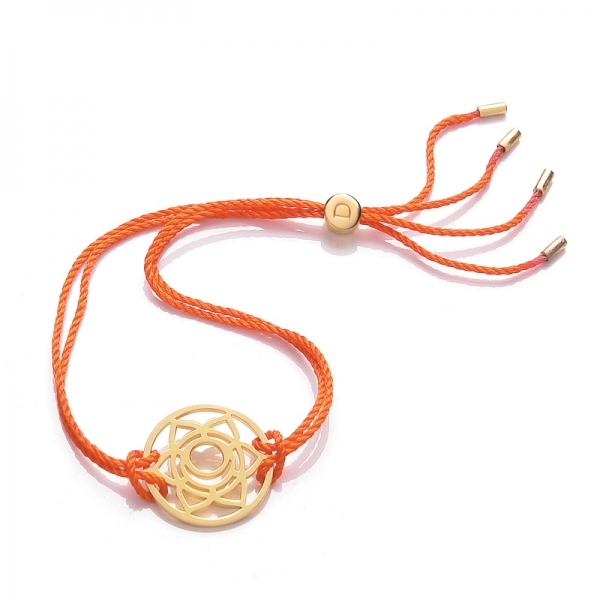 New from Daisy the 24k Gold Gloss Orange Sacral Chakra Bracelet. Known as the SVADISTHANAH, the Sacral Chakra is a symbol of sexuality, physical grace and pleasure. Featuring an adjustable orange silk thread. The Chakra measures 2cm in diameter.